Claire Laraine - Partners in Crime: Paper Cards from Bluecricket Co.
Paper Cards from Bluecricket Co.
Lindsey Bird runs The Bluecricket Co. designing and handmaking greetings cards for all occassions. 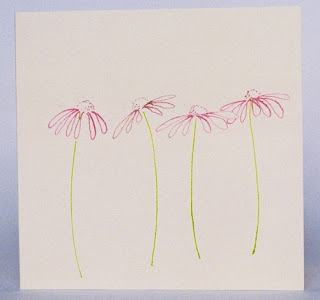 Using pencils, crayons, paint and inks to create these beatiful cards, with a little help from her daughter too! Being a creative being Lindsey doesn't like to be bored and doesn't like things to take too long, and loves her Trollbeads! All Bluecricket Co. items can be purchased online in Lindsey's Etsy shop. I stumbled upon your link through etsy. You have a really neat blog!